The Law and Order Society is a club for criminal justice students on campus. 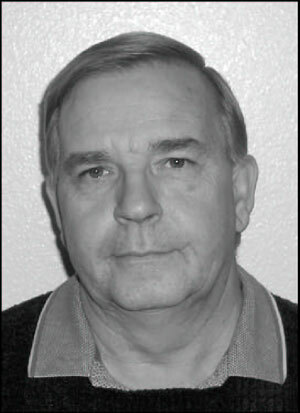 The advisor of the club is Steve McGibbon and he is the advisor of the month. McGibbon was born and raised in Saranac Lake, New York. He, like everyone at the College of Eastern Utah, started his education at a two-year college before moving on to attend a university. He received his associate’s degree in criminal justice. After receiving his associate’s in criminal justice, he decided to continue down that path. He then earned his bachelor’s degree in criminal justice from State University of New York in Utica-Rome. With two degrees in criminal justice, he studied further into the field and received his master’s degree in forensic science from George Washington University in Washington D.C.
Once he graduated from school, he started to teach. McGibbon started his teaching career at State University of Texas in San Antonio. This is also his favorite place to be down by the river walk. His favorite kinds of movies to watch are comedies. When asked about the TV shows he likes to watch, McGibbon said, “I dislike CSI, it’s just not practical.” His favorite class in college was criminal investigation which may explain why he does not like CSI. Now his favorite class to teach is introduction to forensics or criminal investigation. “He is very knowledgeable about the criminal justice field and is a good guidance counselor to help people to know where they want to go in the criminal justice program. It has been a fun ride with him to learn about forensic science,” said criminal justice student Anthony Anast. McGibbon likes working at CEU most of all because of the students. “CEU is small enough that I can get to know the students and they can get to know me.” His favorite thing about Price is that it is a small town so everyone knows your needs. The bad thing about that he also said was that everyone knows each other’s business. Sam Bowman, club member said, “He’s the best teacher at the college, period.” Along with being their advisor, McGibbon will accompany the club on a trip later this spring to Alcatraz Penitentiary in San Francisco, Calif.